Lisa McGee’s Bafta-nominated comedy, Derry Girls, is set to return to Channel 4 for a third series. The screenwriter revealed the news as the second season of the coming-of-age sitcom came to an end on Tuesday. McGee, who used her own childhood as the basis for the show, said she was thrilled her band of “eejits” would continue their on-screen adventures. The show is set against the backdrop of the Troubles in Londonderry, Northern Ireland in the 1990s. 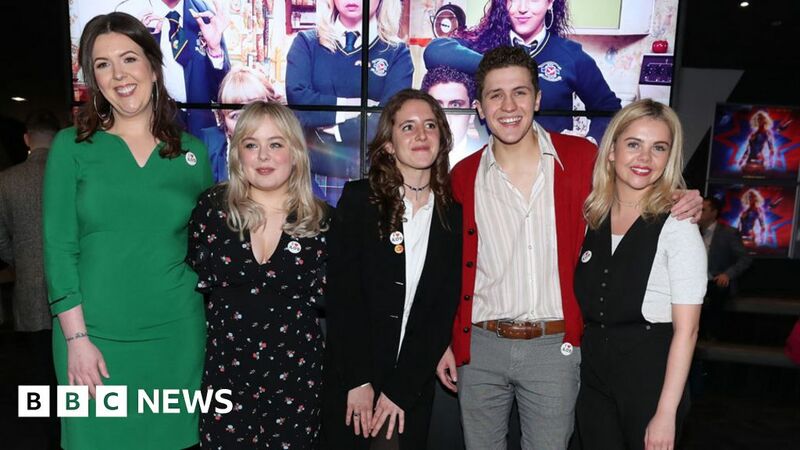 The series two finale saw pretty much the entire cast going crazy for the visit of then-US President Bill Clinton – with the leading girls hoping to get close to his daughter Chelsea – while James got a surprise and Granda Joe embarked on a mysterious plan. The episode attracted an average live audience of 1.1 million viewers. That figure is expected to rise once catch-up services are included, as the consolidated viewing figures for the first episode of the series were 3.1 million. The Irish Times said the series two finale was “a moving and significant piece of nostalgia”. The Telegraph (behind a pay wall) described it as “a terrific sign-off for a moving and uproariously funny show”. And, without giving too much away, The Metro wrote that the last show “gives James centre stage in [a] perfect and poignant send-off”. It picked up from the success of series one in 2018, which became most popular show in Northern Ireland TV history with more viewers tuning in to watch it than any other series since records began in 2002. The first season, which also topped a Radio Times Comedy poll in August, is up for best scripted comedy at next month’s British Academy Television Awards.